Goodreads: Alice Pearse, a compulsively honest, longing-to-have-it-all, sandwich generation heroine for our social-media-obsessed, lean in (or opt out) age. Kritters Thoughts: Alice has been a part time employee and a full time wife and mom of three for a long time but as her husband's employment makes a change, her life will change. She goes back into the workforce to a company that is not quite fit for a woman with a family and outside commitments and she must decide where priorities lie for her. I am not a mom of children, but we have three dogs and I have a full time job and a husband and a home all of which need my time. And having to juggle it all is a constant job and this book reminded me that everyone has things they juggle and have to make priorities. I loved that even though what Alice was juggling may not be what I juggle I could still find commonalities with her. I completely adored this book and as a debut it hit home for me. I can't wait to see what is next for this author and am hoping for a long career. 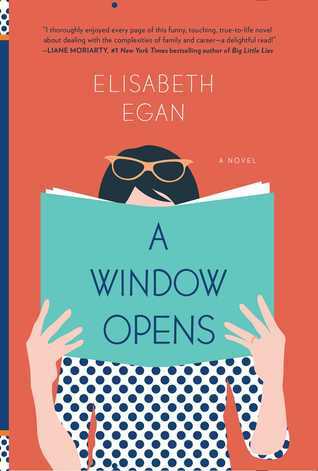 Elisabeth Egan knows what to write that feels real, honest and authentic and I loved it! I loved this book also. It's one of top reads for the year so far. My review is up later this week.